Happy Poetry Friday, Mary Ann. What a joyful post! Today I have another poem in my series of poems about reading, this one about reading to a cat. http://poemfarm.blogspot.com/2011/02/poetry-friday-poem-324-every-night.html A. Today I write about the full snow moon at The Writer's Armchair. Thanks for hosting Mary Ann, and thanks for sharing DAZZLING DISPLAY OF DOGS! 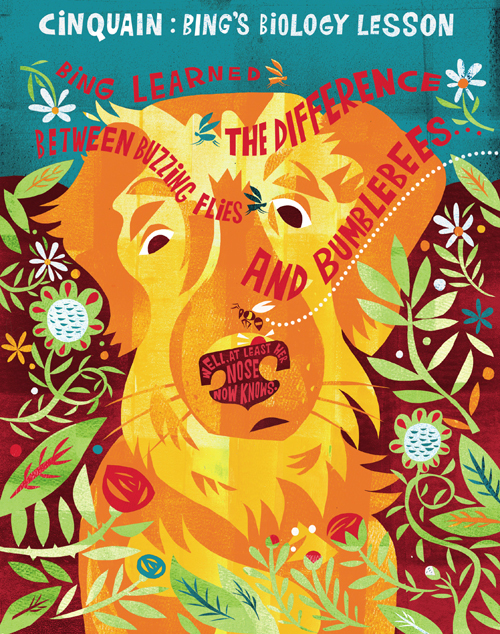 As someone who loves, dogs, poetry, and Betsy Franco, it sounds like this is a book I need to own. I'm in this week with a review of Kristine O'Connell George's newest gem, EMMA DILEMMA: BIG SISTER POEMS. This week on The Stenhouse Blog we have "Astronomy Lesson" by Alan Shapiro. Happy Poetry Friday! 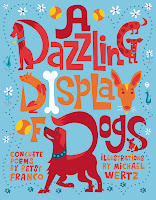 Thanks for the introduction to Dazzling Display of Dogs! 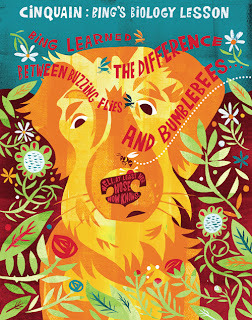 What a riot of color in those illustrations! At Random Noodling I have an original poem, "Oh, To Be a Squirrel." Kurious Kitty has "Alms" by Anne Morrow Lindbergh, and, at Kurious K's Kwotes the P.F. quote is by Lindbergh. And, at The Write Sisters I also have a short weather poem by Anonymous. 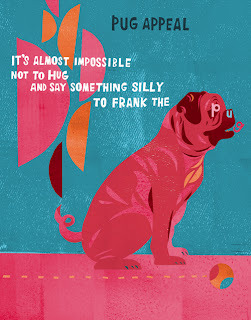 i love that the pug is pink! thanks for hosting. i'm back this week with more original "'nother goose" rhymes over at fomagrams. Ooh, I hadn't heard of this one yet. Thanks for sharing, Mary Ann, and for hosting. Oh, what a fun book. Can't wait to see it! Today I'm sharing Barbara Crooker's "Ode to Olive Oil" and dreaming about summer. Thanks for hosting, Mary Ann! Thanks for hosting. This looks like a fun book. Love the colors. I'm sharing Shipwreck by Luis Vaz de Camos. Reposted from My Daily Poem. It's raining in Haiti, and I have a poem called "Before the Rain" here. Thank you for rounding up the poetry talk today. I'm in with a post from the archives, which links John Updike's short poem "Saying Goodbye to Very Young Children." Thanks for hosting Mary Ann...and thank you for sharing these titles...they look absolutely gorgeous, I can't wait to have a peek inside them! In today with a reflection on getting more poems published--bookable. See y'all later! I almost never feel in sync with the theme of the host, but I'm in this week with a little haiku my daughter wrote about our dog. :) It's here. 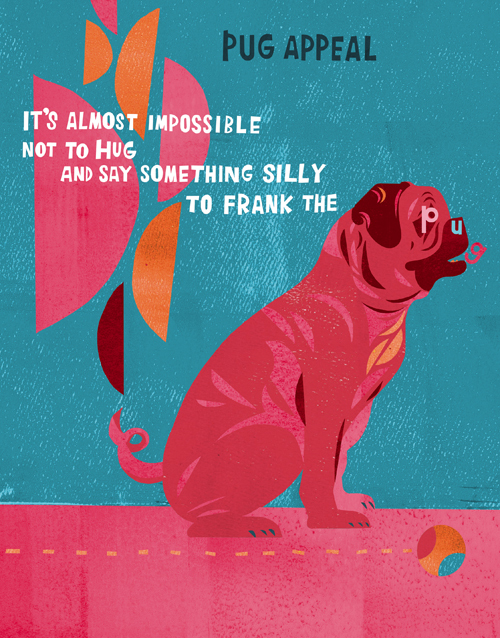 The dog book looks utterly lovable. My Poetry Friday contribution today is The Civil Wars's "Poison and Wine" and a small rumination on love and being known. At Wild Rose Reader, I have an original fairy tale poem titled "Apartment for Rent"--which is written in the form of a classified ad. Thank you for doing the roundup. Thank you, too, for citing the hard work done by the Cybils judges. I am simply in awe of the service they have done. And thank you three for the books about dogs. Today I offer a visual poem "It's the way they do ordinary things" by François-Marie Banier. Thanks! Poems about (at least) two strong women facing down disaster. Women's History Month is coming up! My selection is "The Cuckoo's Haiku and other birding poems" written by Michael J. Rosen and illustrated by Stan Fellows. Thank you for your hospitality in hosting all of us! And I just have to say that I just think those cover illustrations are swoony! I have an original poem about the winter woodpile today on my blog Twinkling Along. At Blue Rose Girls, I have a post titled "Let It Snow...Let It Snow...Let It Snow: Repetition in Poetry." Thanks for hosting, Mary Ann. Today I shared some of Ralph Fletcher's early love poems. Mary Ann, It's good to see you here with the dazzling dogs and others. I was on the road today so didn't get time to pull together a post, but I'm looking forward to reading these and more -- and wanted to say hello! Hello! My first participating week in Poetry Friday can be found at http://feebeeglee.blogspot.com/2011/02/poetry-friday-happy-faustines-day.html. Posting way late, here goes.